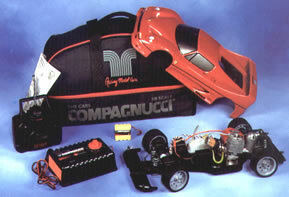 Compagnucci Racing Model Cars are the Hottest on the market. Not some mass produced toy department stuff, these cars are built in Italy with performance you can expect. 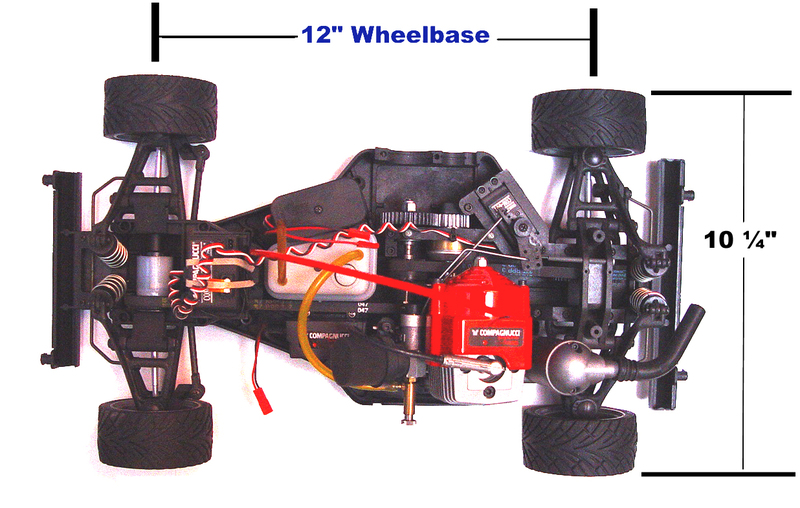 Unlike other cars on the market that use model glow fuel, this is the first 1/8 scale car available with a powerful genuine gasoline engine using a real automotive type electronic spark ignition and forced air cooling. The Compagnucci gasoline-powered car is inexpensive to operate due to an efficient, two stroke engine design that uses unleaded fuel with a small amount of oil mixed in as a lubricant. Our cars feature long running times (30 to 40 min. approx.) for plenty of race time. No more pull starts. Easy bump starting. 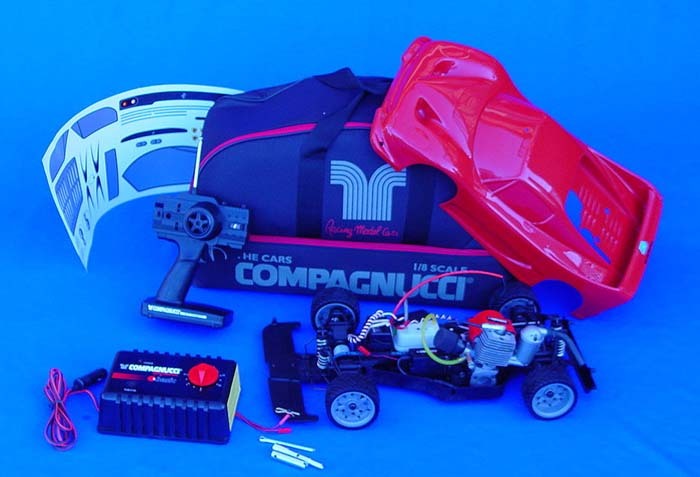 Compagnucci model cars come with a high quality and very practical transport case which is used to carry both the car and all of your accessories. All cars are pre-assembled and individually tested before leaving the factory. There is nothing to stop you from enjoying your car from the moment you receive it. 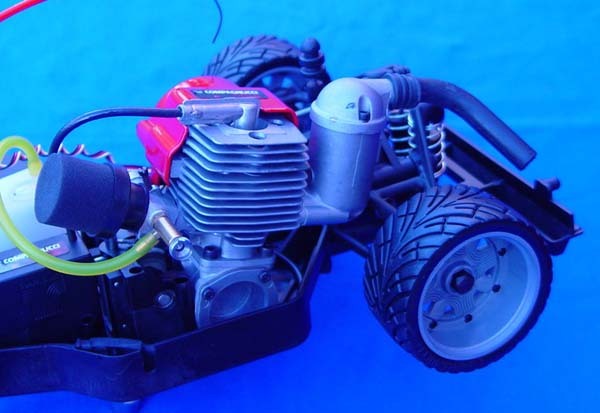 Gasoline powered engine using spark plug ignition. No glow plugs. The car is equipped with a 6 oz. (125 cc) fuel tank that allows approximately 30 to 40 minutes of running time. Single cylinder 2-stroke "MAC 6" 6.28 cc (about 39 cu. in.) 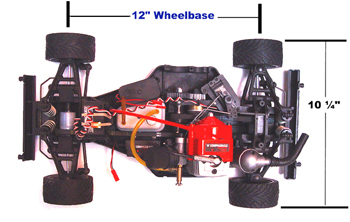 gasoline engine, featuring forced air cooling, with electronic spark ignition system. Car can reach approximately 59+ Miles/hour (90 Km/h) maximum speed. Standard battery charger using 12V output from a car cigarette lighter with 2 x 4.8 Volt. ©2008 Model Engine Corporation of America, All rights reserved.